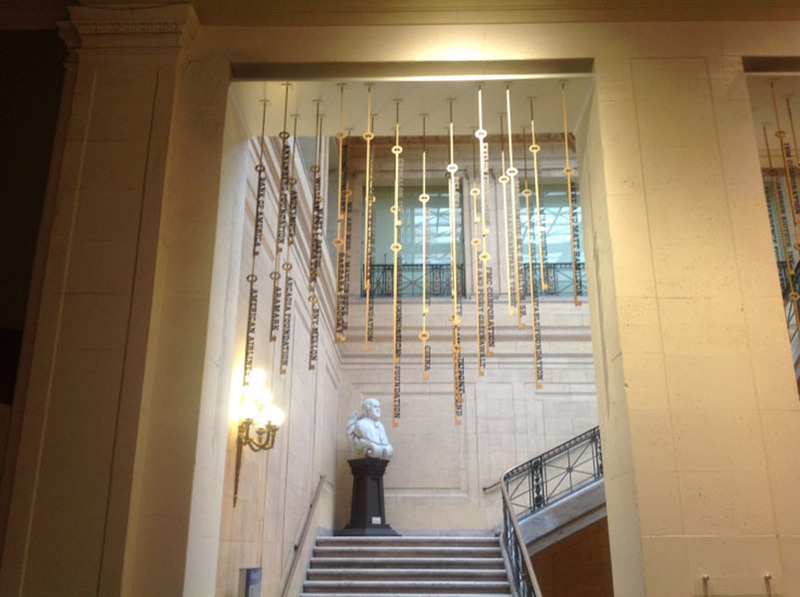 AGS was commissioned to manufacture and install donor recognition keys at The Franklin Institute. 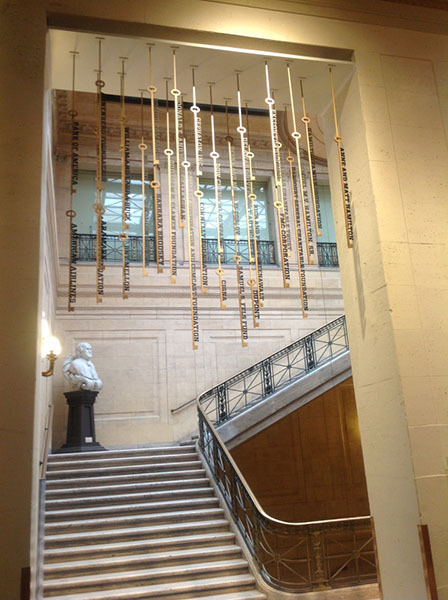 Located above the three thresholds leading into the Pendulum Stairs on the 2nd floor of the museum, these keys are suspended from the ceiling using a rod mechanism. 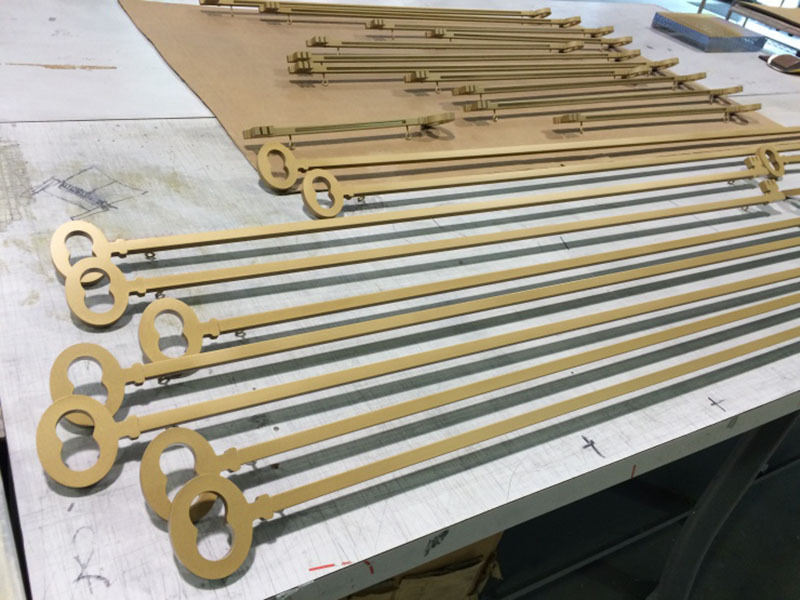 The individual donor names were inserted into the stem of the keys using a slot system. 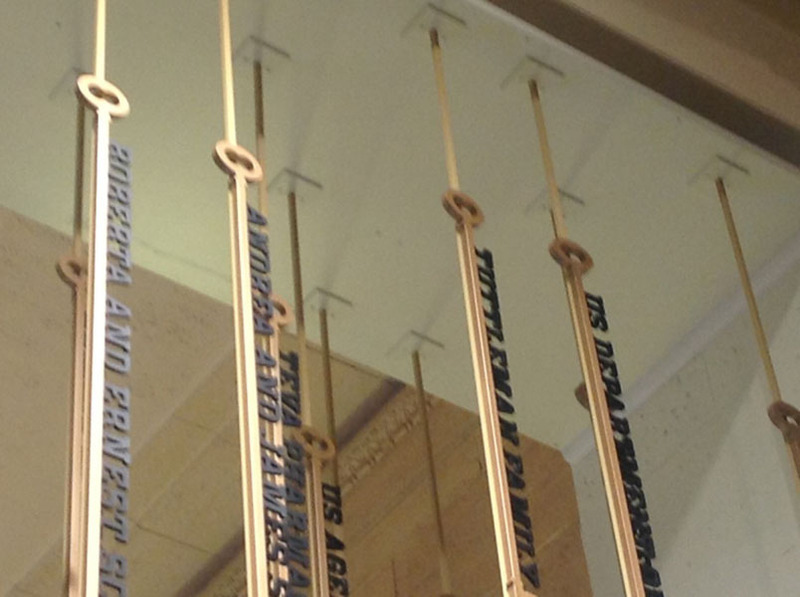 The space in the three thresholds was utilized so that additional keys and names can be added when needed. 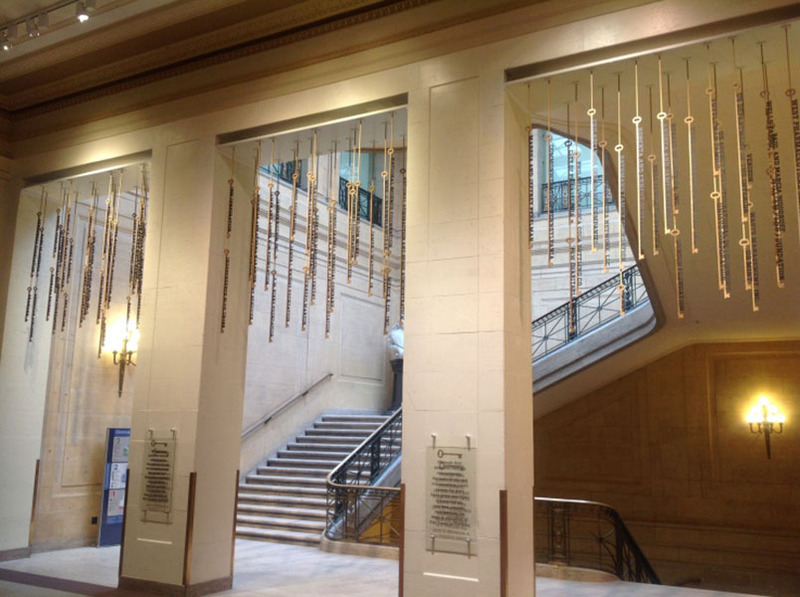 The materials and colors used were reflective of the Pendulum Stairs. 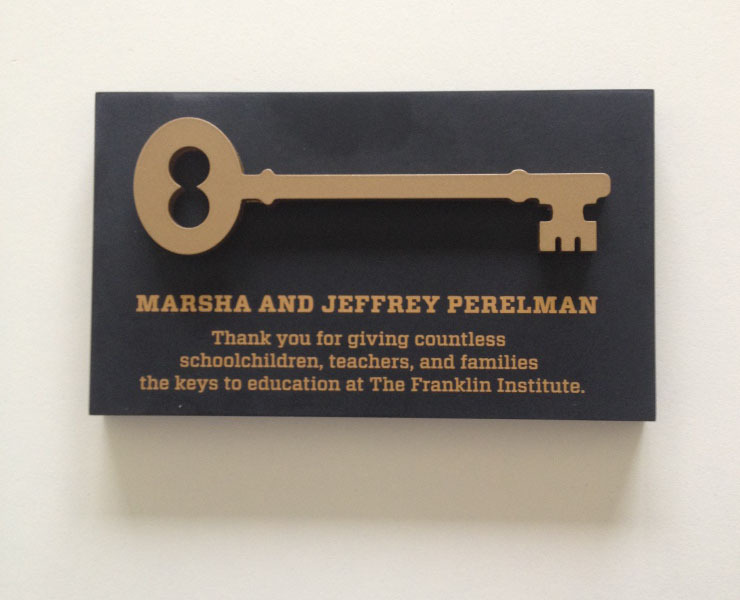 Along with the keys each donor was given their own plaque with a smaller version of the keys on it for their contribution to The Franklin Institute. 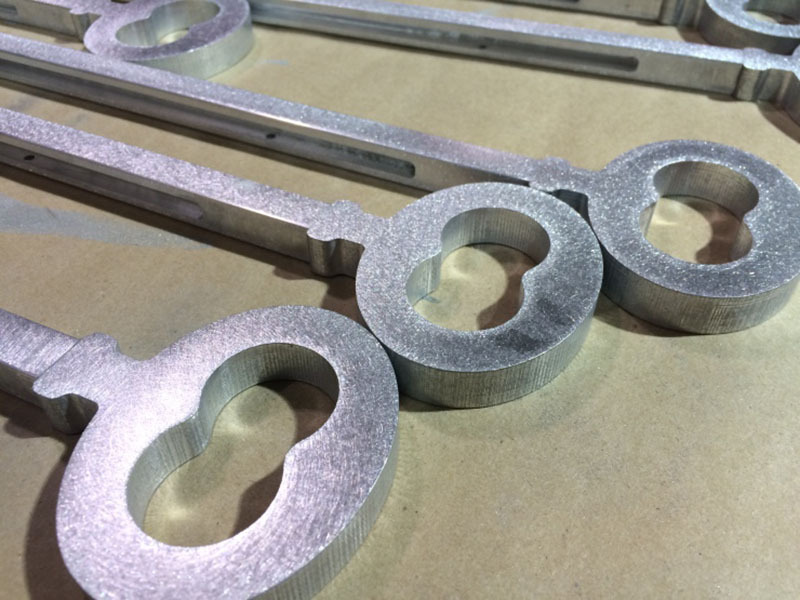 The design and implementation of the donor program was finalized through multiple rounds of prototypes and shop drawings. 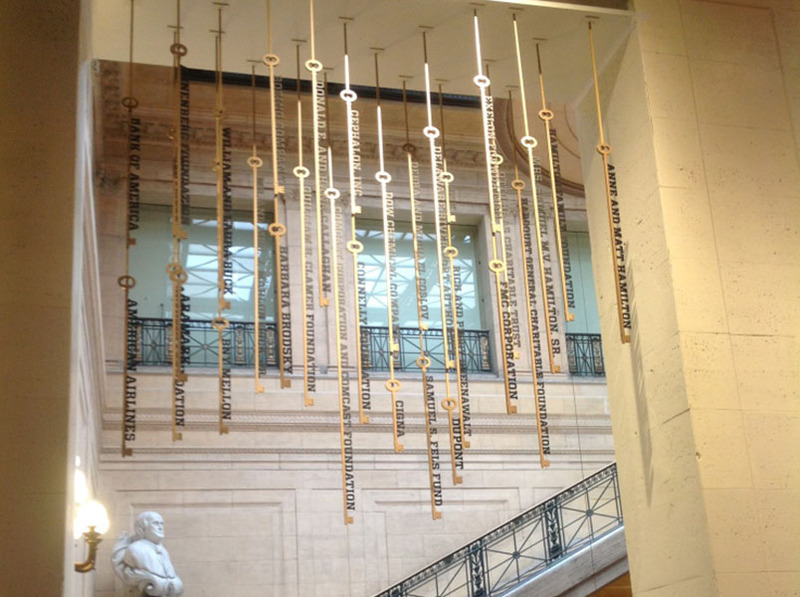 The shop drawings were used to help figured out a way to best utilize the space available for the donor keys, and the mechanism that would be used to suspend them from the ceiling. 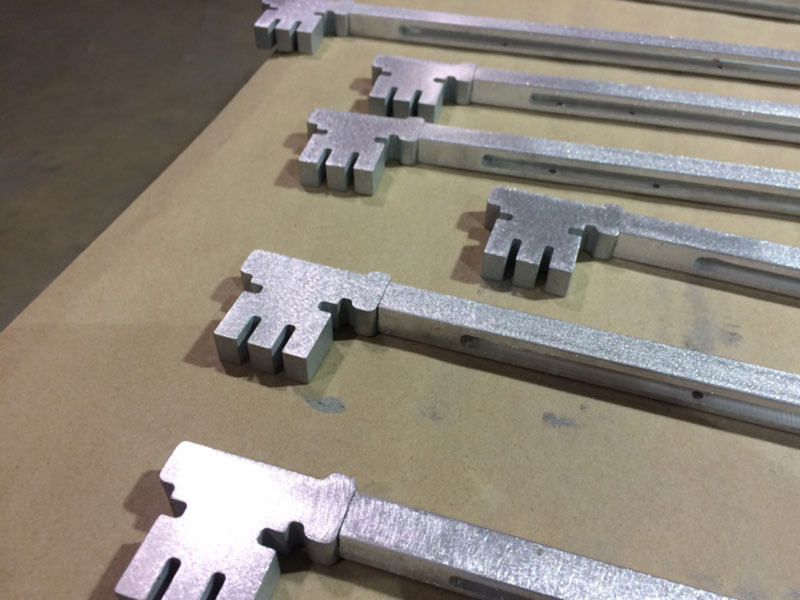 The prototype gave the client a visual of not only how the keys would look, but how they would function and be placed within the three thresholds. AGS provided the client with a complete design build process which resulted in a successful donor signage program for the Franklin Institute. 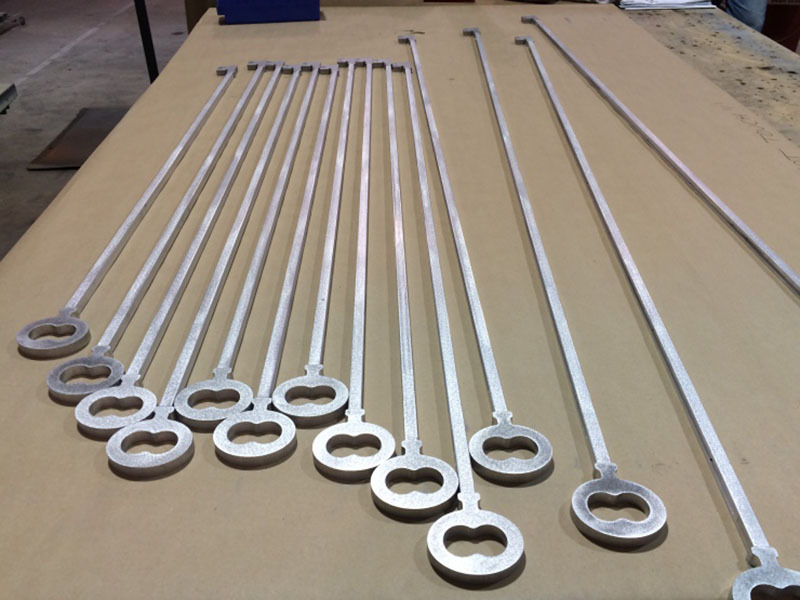 Below are a few more photos of the project from production all the way to the finished product! Contact AGS for a consultation on your next project.